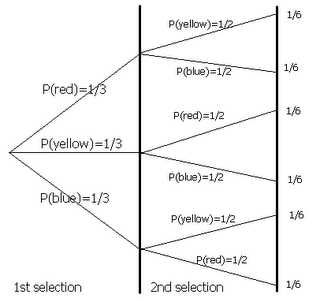 In mathematics, there is something which is called the ‘Probability Tree’ in which it measures what your chances and odds are in a situation. If you dont do something, there will be a fair chance that something else will happen as a result. Back in Jurong Institute, there was this boy which I was friends with. We both met as we were both from the science stream and would share the same lecture so eventually it would be inevitable that it would be that we stop for a while and talk about school matters. I liked to go to class a little bit early to recollect my thoughts and to get ready for the day. One fine day, he joined me and accompanied me. From that point onwards, it became a daily routine. I’d meet him in class in the morning, and we’d talk about all sorts of things. I’ve always liked reading poetry. I dont know if he picked up on that, but there was a time when he’d bring a book of poetry for me to read. It was full of sad poetry but I remember being impressed because no one ever did something like that for me. Then he started to wait for me after school to take me home which I thought was such a nice gesture. And I went back together in complete and full oblivion that maybe perhaps, he actually liked me. But the routine carried on, we’d meet in class before school started, he waited for me at the bus stop, I guess by then, I took it for granted that I’d have someone to talk to and to confide to. I told him that I admired another guy from the arts class. He nodded his head in his usual quiet demenour and that was that. Suddenly Siva, my classmate blurted out. Siva : Prove your devotion to Marina! Him : Dont put fire to the oil. It was then that I was jolted out of my oblivion. Devotion? Put fire to the oil? Whats going on? Is there a story that I wasnt aware of? What what what? The end of the year, he left for Turkey for a vacation and when he came back he acted much much cooler than how he was to me before. Slowly our friendship drifted apart as he went to do his own things and I continued with mine. I see alot of similarities in his character with my dearest. He was sweet, a gentleman, polite and very kind. Never once was he ever mean to me or said anything hurtful. Sometimes I wonder alot what would happen if I had chosen the other path. If I had stayed a while longer with him instead of just handing him the pile of notes. To actually realise what he was trying to say to me. For us to actually be more than friends. Will we be together? Will we eventually be married? Will I have kids with him? Will I be happy? I still wonder how you are and what you are doing now. How are you? Thank you for the wonderful memories that you gave me. Thank you for being the kind and sweet person that you are and for the attention that you gave me. It really did made me feel special. 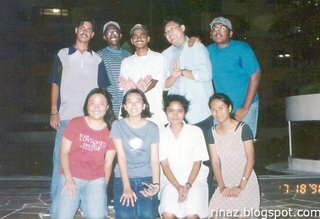 I’m sorry that I was such a blur-sotong at the time. Actually I did have a little inkling, but I was secretly hoping that you’d asked me anyways. It would have made it more concrete. I’m sure by now you’ve probably have a wonderful lady friend to accompany you. Maybe you’re married and have kids now even. If so, congratulations! I’m happy for you. How is she treating you? Here is my sincere hope that you’ve gotten what you’ve always aimed and achieved. Life is such a vast puzzle. Well at least d experience u guys had’ll teach him 2b more confident, I guess. I think unfortunately after not talking to a person for such a long time, the situation and feelings and dynamics changes. So it makes it all the harder to get together again. Its not impossible though.